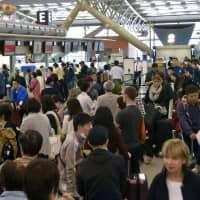 The original former yokozuna Wakanohana, whose nickname in the ring was the “Devil of the Dohyo,” died Wednesday evening of kidney cancer at a Tokyo hospital, the Japan Sumo Association said. He was 82. 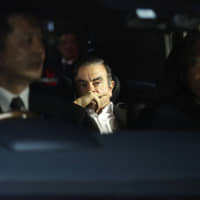 Wakanohana, a former JSA chairman whose real name was Katsuji Hanada, lived the second longest of all yokozuna after the first Umegatani, who passed away at the age of 83. 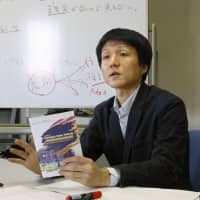 Hanada was the elder brother of former stablemaster Futagoyama (former ozeki Takanohana) who died in May 2005, and uncle to former yokozuna brothers Wakanohana and Takanohana. He made his debut in the fall of 1946 under the name Wakanohana and was promoted to the elite makuuchi division five years later at the 1950 spring meet. 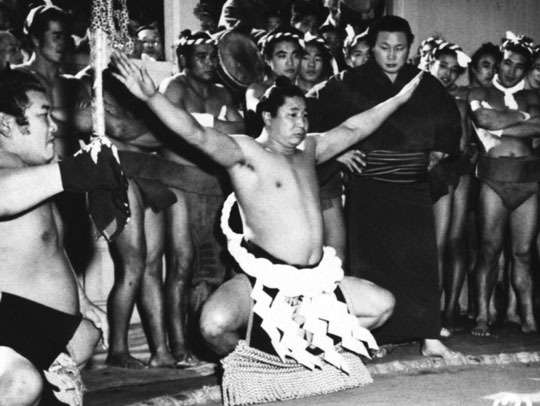 After gaining promotion to the second-highest rank of ozeki at the 1955 autumn meet, he became the 45th yokozuna three years later at the 1958 New Year tournament. 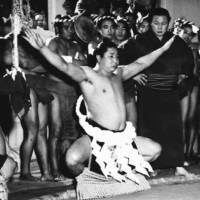 Wakanohana, who was relatively light for a sumo wrestler at just 105 kilograms, was known for his trademark overarm throwing techniques. 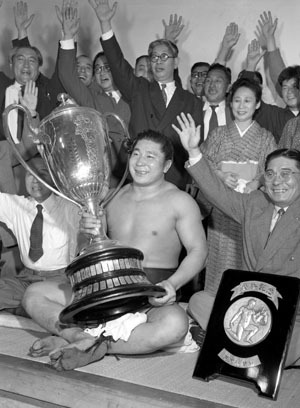 Wakanohana won 10 Emperor’s Cup titles in his heyday. He was appointed JSA chairman in February 1988 and held the post for two terms until 1992.